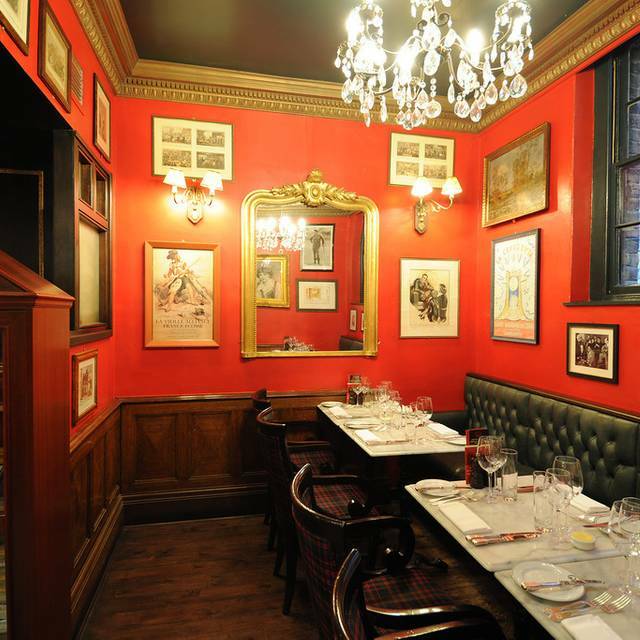 You must make bookings at least 5 minutes in advance of the time at Boisdale of Bishopsgate. 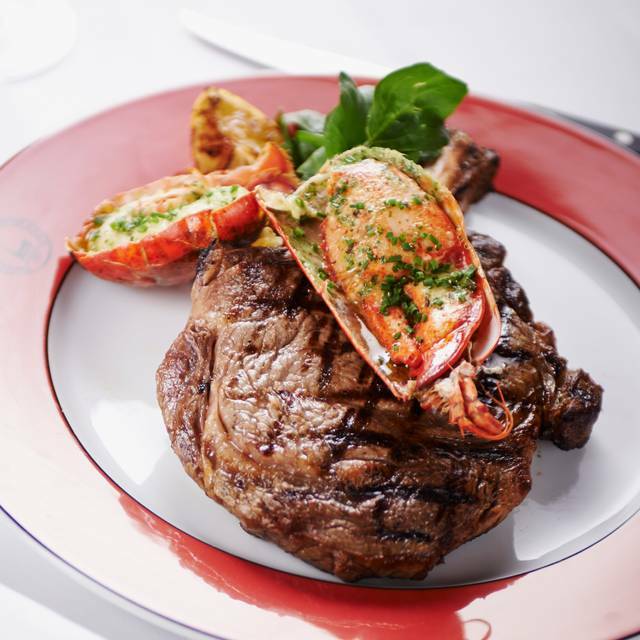 The clubby atmosphere, the excellent range of whiskies and fine cigars, the high-achieving British cooking, and the bubbling idiosyncrasies of the proprietor all blend brilliantly to make Boisdale a unique establishment. 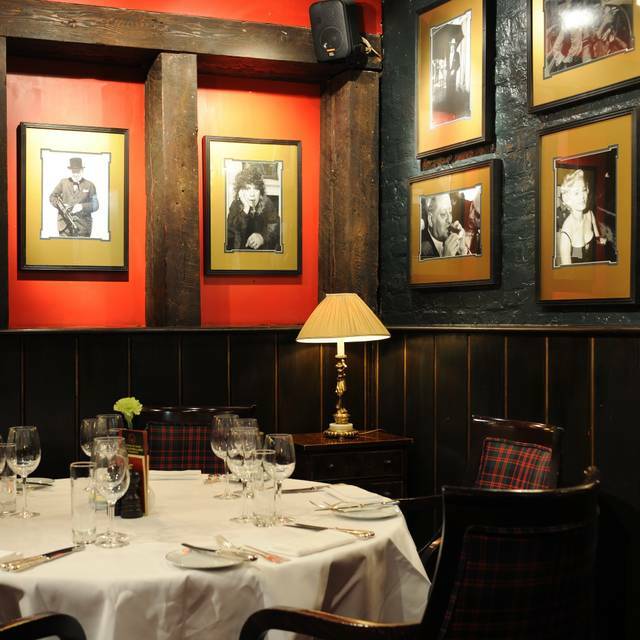 An outpost of the original Boisdale in Belgravia, the Champagne and Oyster Bar and the lower-ground vaulted restaurant are replete with enough tartan to upholster Arthur's Seat, intriguing old prints, dark wood, and the strains of classic jazz from 7 o'clock every evening. 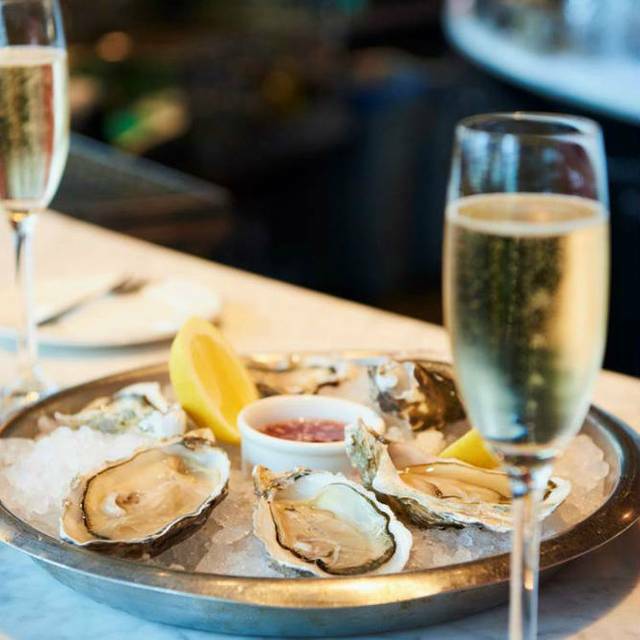 The modern British menu heavily features fresh shellfish and oysters, and all ingredients are sourced wherever possible from Scotland. 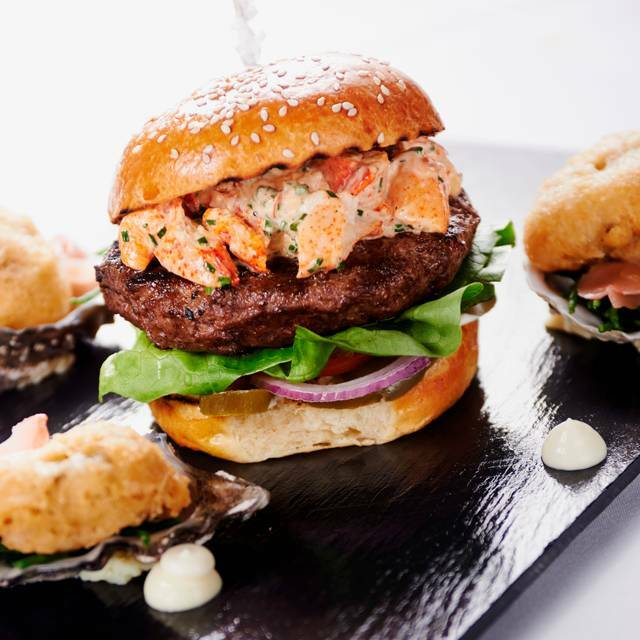 Try starter of venison terrine with spiced kumquat marmalade, main course of Angus ribeye with bearnaise, grilled tomato and chips, and pud of raspberry cranachan with 15 year old Dalwhinnie. And we can definitely recommend the haggis. We had a nice evening overall, the food was good and the jazz music was enjoyable. We arrived early and a waitress was rude in telling us that the restaurant did not open until 6pm. The entrance to the restaurant also smells of drains which is a bit off putting. Also, I was a slightly amazed to see that £10.50 had been added to our bill for the live music! I did not see any mention of a charge for the live music on the Boisdale website. I would go to a different Boisdale but not this one at Bishopsgate again. Went for the cheese trolley and wine flights! All excellent! I had a working lunch here on a Friday with one other. Our welcome was lukewarm at best. We thought we had a good deal with the OpenTable offer of a burger, fries and drink for £15.50, but a service charge was added and the sparking water was £6.95, so this turned into a >£40 meal, which was not reflected in the quality. The burgers, whilst being made from good meat, were burnt, dry and bland and we had to ask for ketchup; then being served one portion initially and told to ask if we wanted more. The service was below average, with waiters interrupting us four times to ask if everything with our food was ok, whilst we were trying to have a conversation. They kept kicking/knocking my chair every time they served the people next to us (frequently) and at one point reached right in front of my face (I was leaning on the table, deep in conversation) to remove an empty water bottle that clearly should have been removed from the other side. It's a shame, I wanted to like the place, the decor is quaint and eclectic and I note they have Jazz music nights, but I won't be returning. Great location for lunch but want to come back to experience the jazz in the evening! A mid-week dinner with a friend. Whilst we're not foodies, we do appreciate restaurants that offer a wide ranging menu and good quality. Boisdale's menu is superb and the quality of the cuisine is excellent; especially the cheeseboard. We enjoyed the opportunity to sample from their wide range of gins for a pre-dinner drink at the bar, where the service matched the quality of that in the restaurant. We also enjoyed some live music (mellow jazz). We intend to go again as we want to try some other dishes on the menu. Simply Perfect, maybe not exactly beers. The food was very good - always well presented and the finest quality. 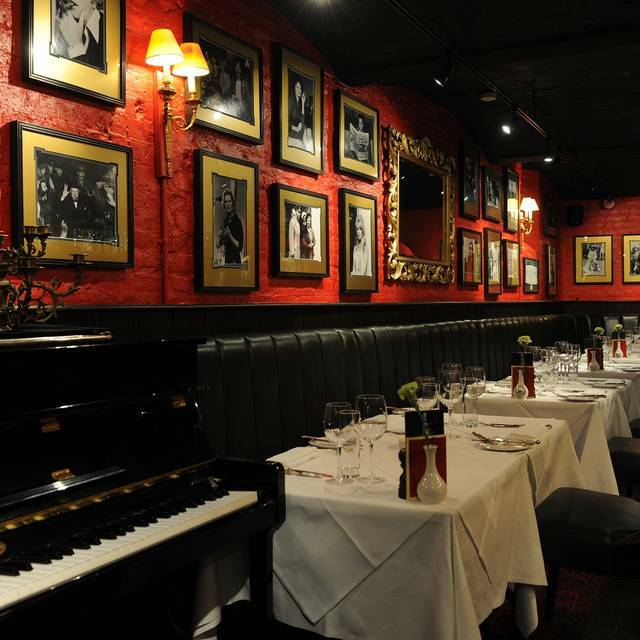 I'm always impressed with a visit to Boisdale. Delicious food and well located, in the heart of the city. Great entertainment too and lovely bar upstairs. This venue was perfect for a quiet birthday celebration and farewell supper for a European great-niece who is returning to study after an internship. 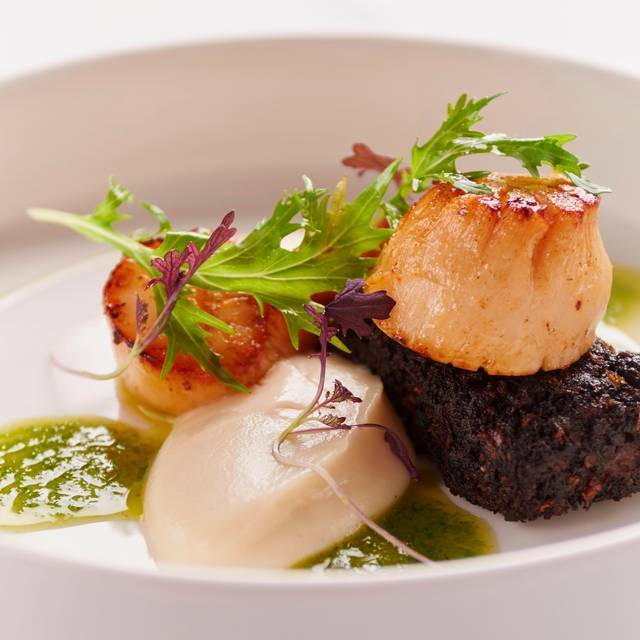 Perfect service, a menu which well-demonstrated the best of British cuisine and quality wines not more widely obtainable. On my journey there I had had an unexpected upset: the Bar staff did a wonderful job of providing me with handmade mint tea to help me recover. The Dining Staff coped expertly with the fact that one of our party failed to arrive because of illness ,and another was unavoidably delayed by work. The silver service and table-settings were a balm in themselves - and the Orkney/Devon fishcakes gave us boost and warmth. I loved the traditional heritage touches, too. Many thanks to all. 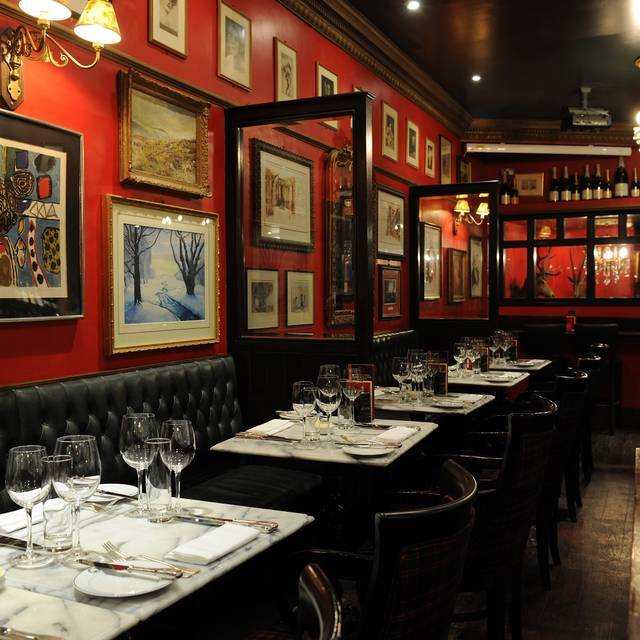 Boisdale of Bishopsgate is a real find. It's a bit hidden away so get there a bit early to find it as it's at the end of a long alley next to Dirty Dicks! Feed was excellent as was the service. Burgers were amazing! I'd definitely go there again. We booked a mid afternoon slot and found we were expected and shown to our table and staff were in place to welcome us and take our order. The restaurant is delightful, down stairs from ground floor, with a varied menu and excellent production of first class food, served hot on warmed plates. The atmosp[here was relaxing and we noted there are often musical events in the evening. Really enjoyed our evening hear. Great food and service and the menu is quite varied. Loved the background jazz. Brilliant. Great evening, staff were excellent & looked after us well throughout the evening. My friend who was my guest had never been before and she loved the decor and ambience. We booked the 50% off the A La Carte offer which was good value in general. However my scallop starter was incredibly small (only one king scallop and a tiny cube of pork not much bigger than a sugar cube) . If I had paid the full price for that ( £14.75 ) I would have felt ripped off. At half price that starter was still pricey enough. The cheese trolley was great and all in all a lovely experience. 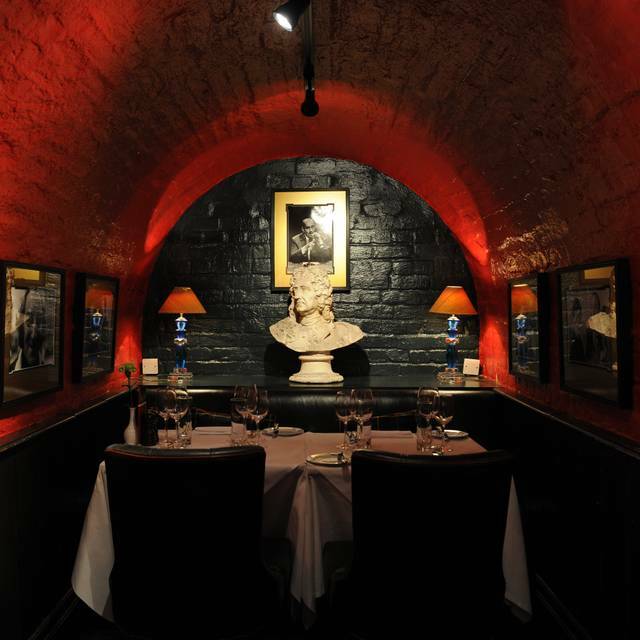 I usually go to boisdale in Canary Wharf which is so much better on every account. The steak was superb, the pianist and singer made the evening a lovely experience. Will definitely recommend this place to all I know. Great service! Delicious steak and the tastiest bread and butter! Our meal was of very high quality and fabulously prepared, but I think the message that we were taking advantage of the "50% off food" offer had been passed to the kitchen, and they went ahead and reduced the portion sizes accordingly. Half the price for half the food seems fair in some senses, but I'm not sure that's the point of the deal - and if we're spending £90 a head (post discount) on food and wine, then I think we deserve to leave full, rather than spending the journey home looking for places to grab a snack. Delicious food, good service and great ambience, but if you're taking advantage of the 50% deal then you'll want to bring a sandwich. Great service, we were asked to wait to be seated and it was done so well and we were offered an extension of Happy Hour so we really didn't mind. All of the staff were so friendly and informative. Hidden in an alley which is always difficult to find on a first visit. Unusual place on 2 floors with dark decor, would be better on a cold autumnal evening. We sat downstairs in a booth which was great for our girly catch-up. There was live entertainment which was away from us so not at all intrusive and suited our occasion. However, there were various dining options when I initially booked, but we were not asked if this was ok once we arrived so be sure to opt for the best one in advance or at least confirm. We could see that those that opted for the set meal including entertainment were sat in a different area as to those eating a la carte etc. Food typical fare, but tasty and we had to pay extra for the sides (chips) to go with the burger. The burnt toast ice-cream was very nice. Really good food and very attentive service. Great food, good atmosphere and we were well looked after by attentive staff. Service with a smile not! The ladies were quite pleasant and smiled by the men just looked grumpy. Our order was taken by a rather grumpy waiter and I found it quite dark inside the restaurant. The tapas we got were ok, but the main meals we had were very disappointing, the burger was dry (how difficult is it to do a decent burger these days?!). And the lemon sole was a soggy lump of mess. Our broccoli was over done to the point where the florets were crisp brown. The truffle chips were a bit sickly after a while. Overall it was not a great meal and the service was not great, did not make us feel welcomed. Also we had the 50% off through open table and it was not included on the bill so we had to point it out. Which we did not want to have to do. Even with the 50% off this meal was not worth it and I won’t be back. It’s a shame because the food used to be good. I guess cost cutting at its worse. Great for steak! Having a 50% off discount on Friday night was a bonus since most restaurants won’t offer this. Very tasty mains, especially the steak. The lemon tart was exceptional but I wouldn’t recommend Boisdale’s version of the Eton Mess because it had a very bitter, medicinal after taste. What can i say apart from Amazing. This place is such a hidden gem. I must have walked past the entrance to this place hundreds of times but never seemed to notice it. From the moment you walk in and see the restaurant and hear the music it did not disappoint. The food here was amazing and eating with a live singer just makes the night so much more memorable. If you have not been here your missing out. Highly recommend this place to anyone. Not easy to find down the tiny alleyway but worth the effort with good food and great staff! Exceeded expectations. Thank you. Food was delicious. Service responsive. I would go back. Thank you. We went for a mums night out and had a lovely evening! Good food, beautiful booth table, fab drinks and the staff were so lovely!! We went on a live music night which was great. The menu had some interesting options ... the haggis with scotch starter was a gem. 3 of us had steaks which were cooked perfectly and 1 of the party had chicken which was moist and tasty. Sweet dishes offered good alternatives ... only slight grumble was (as with most London restaurants) the wine and port were expensive for what was being offered. Would definitely go again. Always good. Always very good. Decent set menu, decent steak, decent red wine, nice cheeseboard.